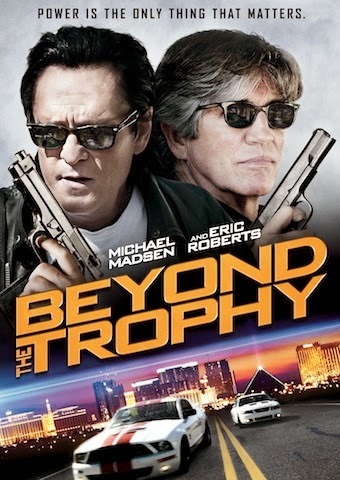 Arc Entertainment recently send us over information for the upcoming DVD release of "Beyond the Trophy". The upcoming film stars Michael Madsen, Eric Roberts and Tommy "Tiny" Lister. No special features were announced for this release at this time. "Beyond the Trophy" hits stores on June 3rd. BEYOND THE TROPHY tells the story of men’s obsession with power and how far they will go to claim the “prize”. Two rival gangs in Los Angeles and Las Vegas, led by Gino (Robert Miano) and Cole (Michael Madsen), are vying for control. Danny (Michael Masini), an LAPD undercover police detective, goes deep into gangland to infiltrate one gang to bring down both. Along the way, he becomes entangled with the beautiful and seductive Angela (Ali Costello), whose relationship with her husband Jake and mob leader Gino makes her the focal point of an intoxicating romantic equation-with deadly consequences. Her dream is to escape the wrath of evil abusive men, and find the love she never knew.